Cheongwadae (The Blue House) is the Republic of Korea president’s official residence and office (something like the White House, for example). It is called the Blue House precisely due to the blue roof tiles. Its color catches your attention when in the area, and even when you are still far from it. 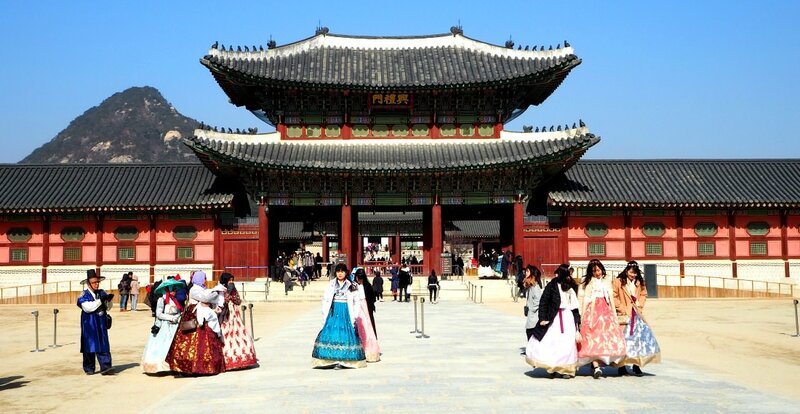 The Blue House is located at the heart of Seoul, just behind the famous Gyeongbokgung Palace (or we can say the palace is in front of the Blue House!). It is strategically and beautifully established with the beautiful mountains behind it. The blue tiles blend smoothly with Bugaksan (mountain) in the background. To be in the grounds of Cheong Wa Dae is a great, please. The place is serene and charming. 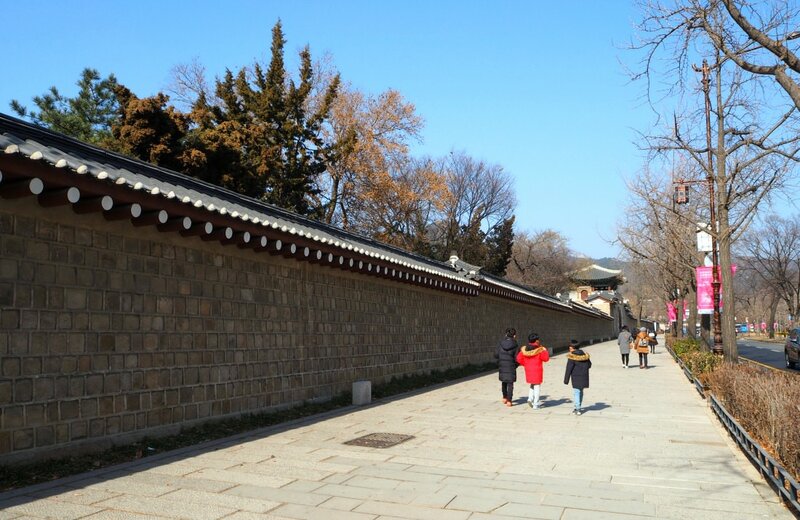 You can track the paths from Gyeongbokgung Palace leading to the Blue House and Samcheong-dong Park area. I can attest to such leisure as I have done it many times already! I suggest that you take the East Gate path of Gyeongbokgung Palace to the president’s house because it is the most lovely pathway. Walking on the path, you will be between two things: Gyeongbokgung Palace wall on the left and old building and art galleries on your right. A road divides the two. The path beside the palace is lined with fully-grown old trees. While on the opposite side, flashy cafés, Hyundai, Geumho, and other famous art galleries are waiting for art-loving visitors. 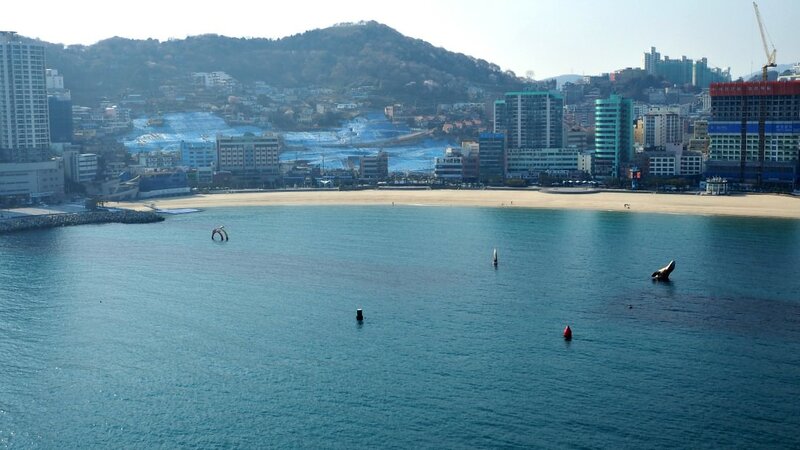 Before you reach Cheong Wa Dae, you can find Samcheong-dong Park if you turn right. More art galleries, restaurants, cafés, and similar places are great for relaxing alone or with a company. Now, let me describe a bit about the composition of the impressive structures of Cheong Wa Dae. Chunchugwan is where the president’s press conferences happen. Its roof is also made of earthen tiles. The Yeongbingwan is where larger events and other official conferences with a significant number of participants and foreign dignitaries are being accommodated. 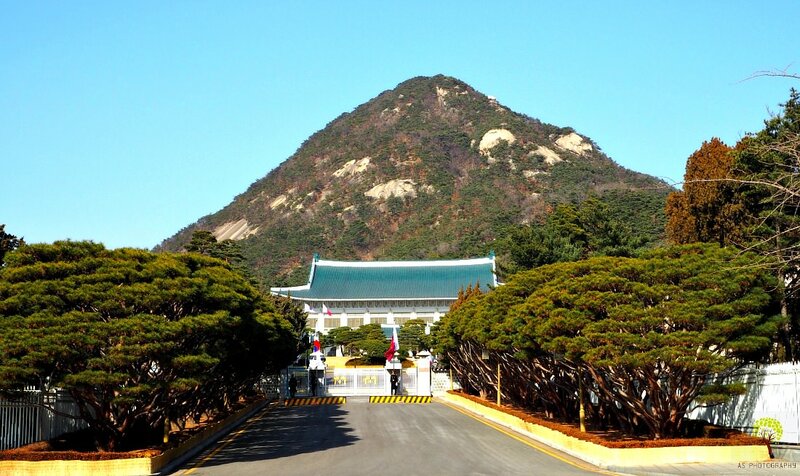 At the Nokjiwon, you will find trees planted by each president elected. One among these trees is more than 300 years old. In the Mugunghwa Valley, flowers bloom between July and October which is perfect for taking photos and selfies! The valley has colorful flowers, aside from Mugunghwa, a fountain, and a sculpture of a Phoenix. All the above structures have their own and unique architectural and artistic designs. They are beautifully made in the traditional Korean style. The information below is from the government’s website. Therefore, if you have inquiries and other question, please direct them to the contact details I included. There is a 50% discount for low-emissions and light-weight vehicles. There you go. If you do not speak the local language, please use the hotline. Thanks for reading down to this part.